Hello Everyone! 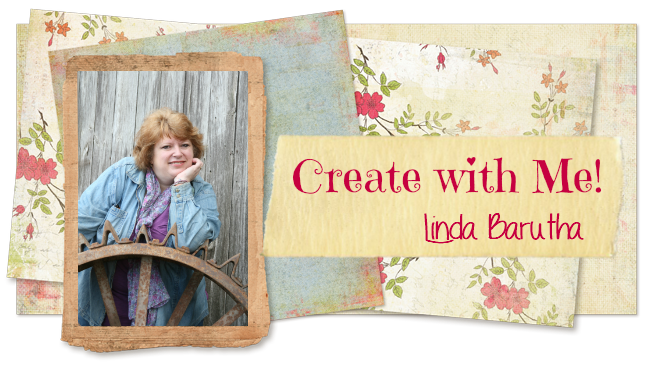 I'm Beth Watson and I am so excited to be here on the Linnie Blooms blog sharing my first Design Team project. I met Linda this past January at the Craft and Hobby Association trade show where she was showcasing her line of pre-cut canvas shapes, stamps, masks and stencils and WOW was I blown away! 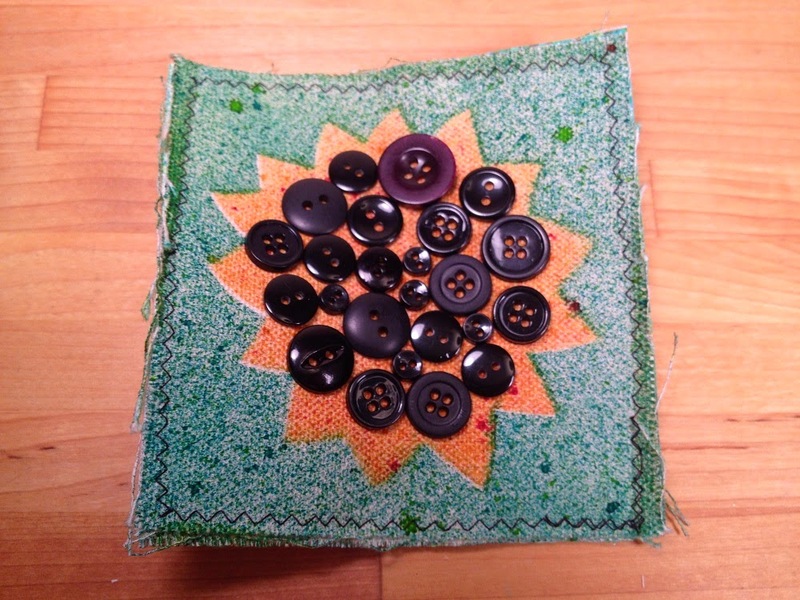 Such a great idea for mixed media and all of the work is done for you - GENIUS! And what a great name for her company - Linnie Blooms! I LOVE sunflowers, so I was immediately drawn to the sunflower mask and stencil. When working in mixed media the concept of masks AND stencils is so very important, but a lot of companies don't get that! Start with the 5" by 5" Canvas Blank, the Bloom Stencil & Mask and some turquoise spray mist. Place the mask down, spray then set aside to dry. 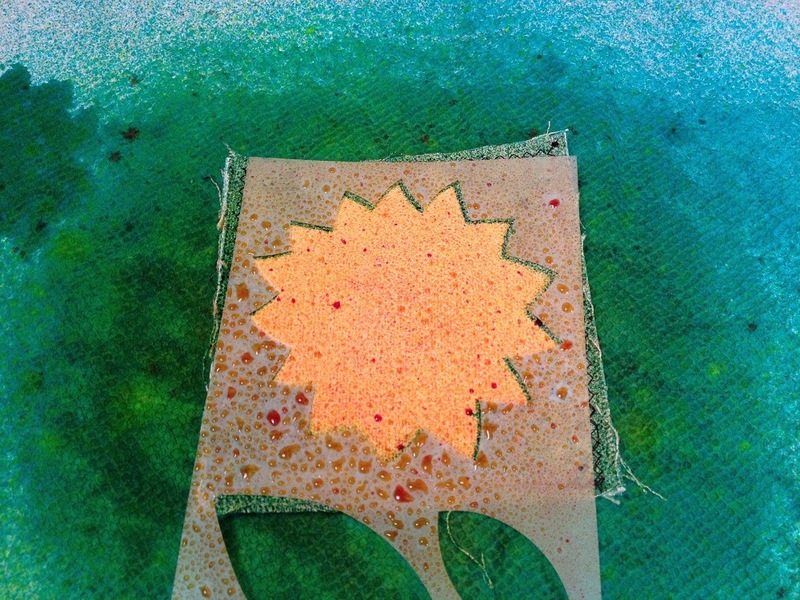 Next, use the stencil and spray with yellow mist, set aside to dry. TIP: Use an old copy paper box lid lined with paper towels to spray with mists. 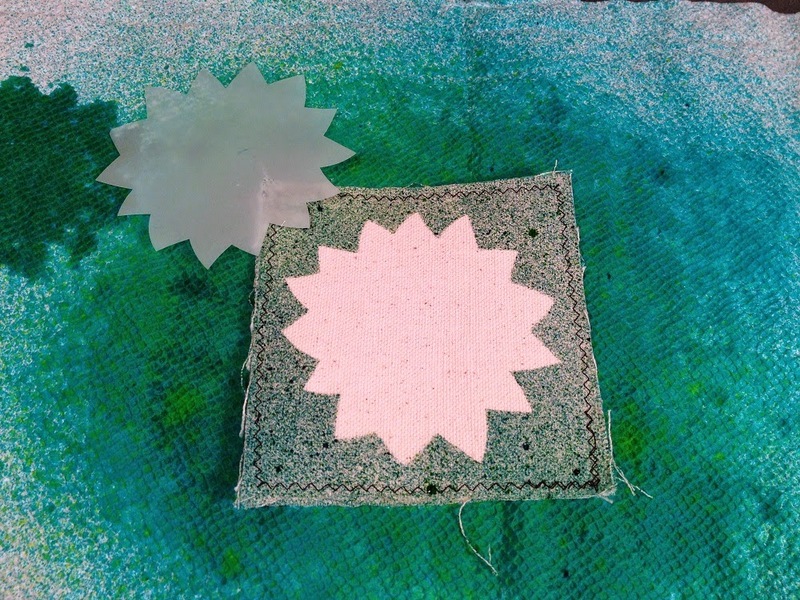 The box lid contains the spray and the paper towels absorb the extra mist which can be used for other mixed media projects, so nothing goes to waste! 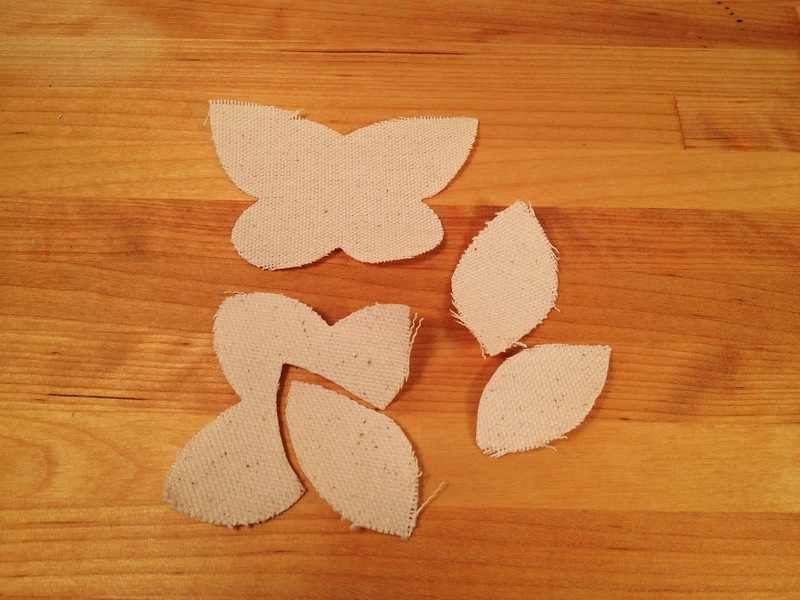 Cut leaves from the Canvas Butterflies﻿, then spray with lime green and grass green spray mists. Make a few lighter and a few darker for contrast, then set aside to dry. TIP: The smaller canvas pieces will tend to curl when wet with mists, so once dry, iron them to straighten out. 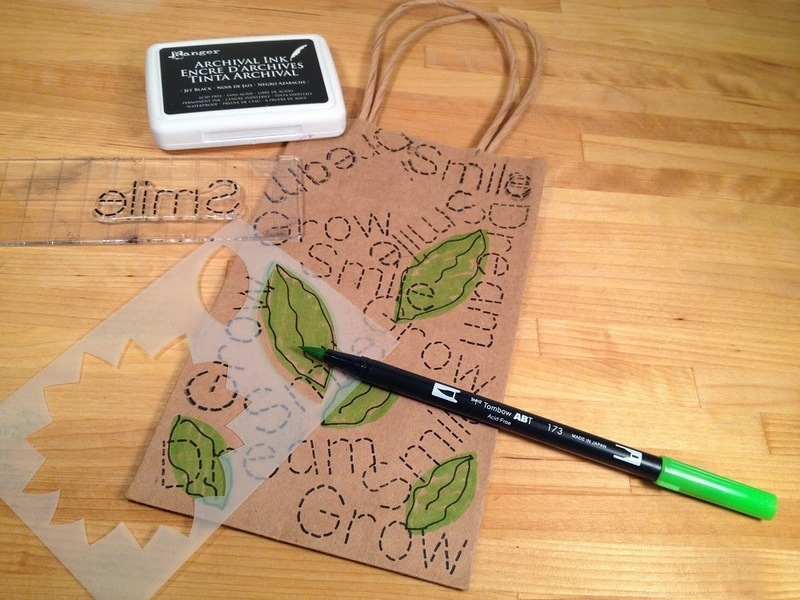 Once dry and ironed, accent leaves by outlining with Tombow Dual Brush Pen in black (N15). Mix leaves with loops of Shabby Trim in green and attach to sides of Canvas Blank with Tombow MONO Aqua Multi Glue, let dry. Attach gift tag to top of bag with Mini Clothes Pins﻿. Fill with a wonderful gift and give, give give! The gift bag is a gift! Wow! I would love to receive a gift in a bag like that! Great job! 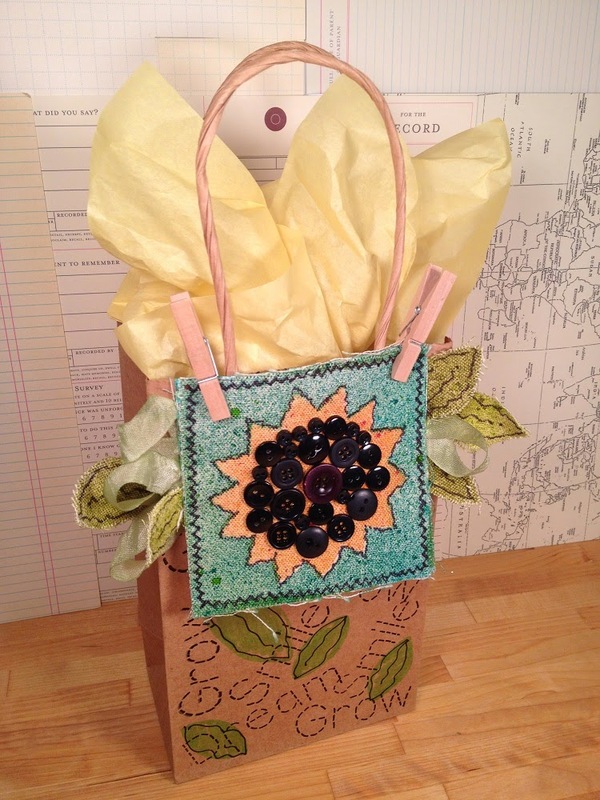 Super cute gift bag Beth!